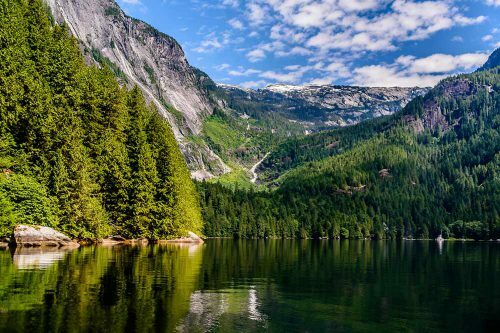 The boat tour up to world famous Princess Louisa Inlet is one of our most popular offerings. 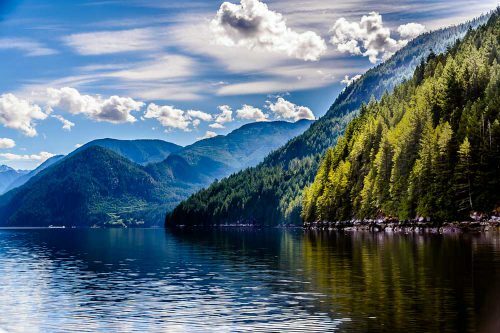 The wide opening of Jervis Inlet narrows past the Lodge to become a long, glacier-cut fjord. 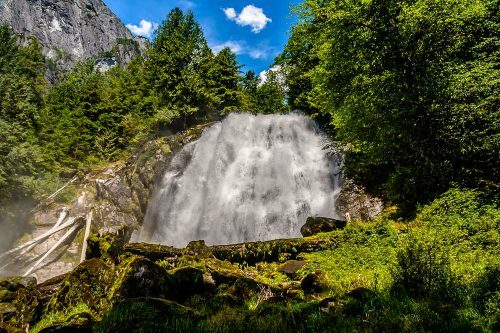 On your journey up, you will pass dozens of cascading waterfalls that trickle down from craggy granite bluffs looming over you on both sides. 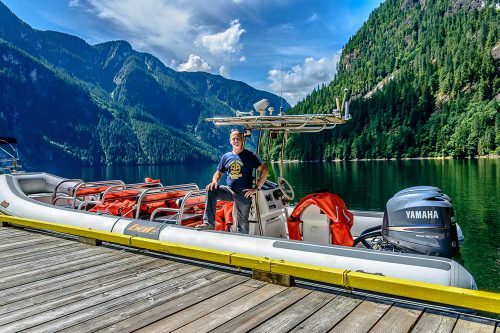 As you cruise along you might catch a glimpse into the past — several cliffs display ancient petroglyphs, rock paintings done by the First Nations of the area. 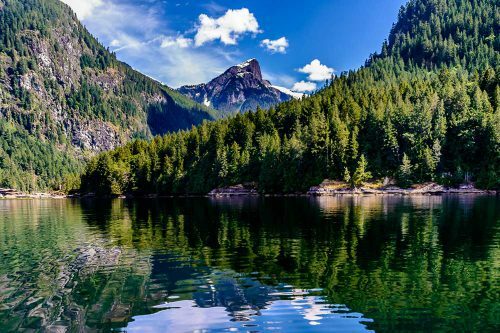 Once past the geological constriction called Malibu Rapids, Princess Louisa Inlet Marine Park opens up — renowned around the world for its beauty and protected waters. Glacier-fed Chatterbox Falls is the highlight of this sheltered inlet and is surrounded by a lush west coast rainforest unlike any other on the B.C. coast. 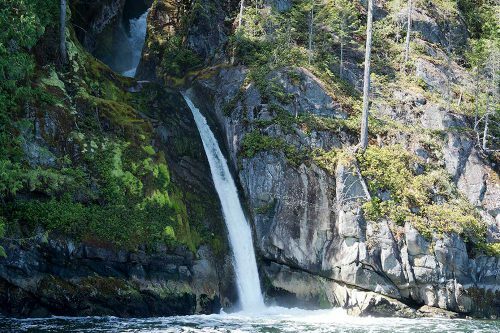 The air up at Princess Louisa is so moist with spray from the Falls that you will see trees covered with thick, emerald-like moss and ferns as you hike along the cedar boardwalks. The voyage will take you past other natural wonders such as Soda Pop Creek and Deserted Bay, so bring your camera! The tour departs from the Egmont Adventure Centre at 10:00 am and runs for 3 to 4 hours. Please visit www.princesslouisa.com for more information. Guests who are not staying at the Lodge are welcome to book the tour through the above websites. If you require any additional information please do not hesitate to contact us by email or calling West Coast Wilderness Lodge at 778-280-8610 or the Egmont Adventure Centre at 778-280-8619. This tour runs from May to October and can be included in any of our packages.